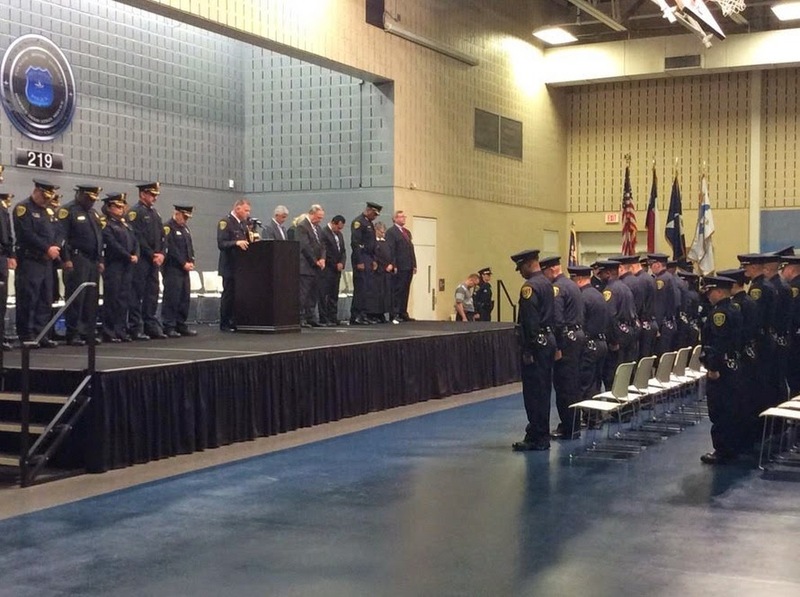 HPD Chief Charles McClelland welcomed 28 police cadets, from Class 219, to the HPD ranks to serve and protect the citizens of Houston last week. For more information about joining HPD's next cadet class, go to www.hpdcareer.com or call the Recruiting Division at 713-308-1300 or (800) 252-0473. Thank you to KPRC Channel 2 for the posted story.